Click HERE to view a High Resolution PDF. 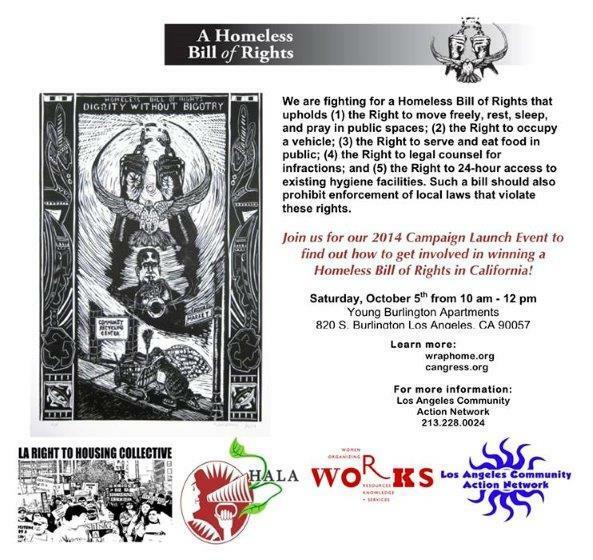 On Saturday, over a dozen community organizations convened to launch the California Homeless Bill of Rights Campaign (see photos above). After an overview of the campaign goals, those in attendance broke out into small groups to outline campaign strategies and create an action plan for the next few months. The campaign will be a long and hard fight, but when the event ended it was clear that organizations in Southern California are committed to organizing to protect and uplift the Human Rights of Homeless individuals throughout California and beyond! On Tuesday, LA CAN continued a busy week of Anti-Criminalization actions at both the LAPD Commission and the LA County Board of Supervisors. 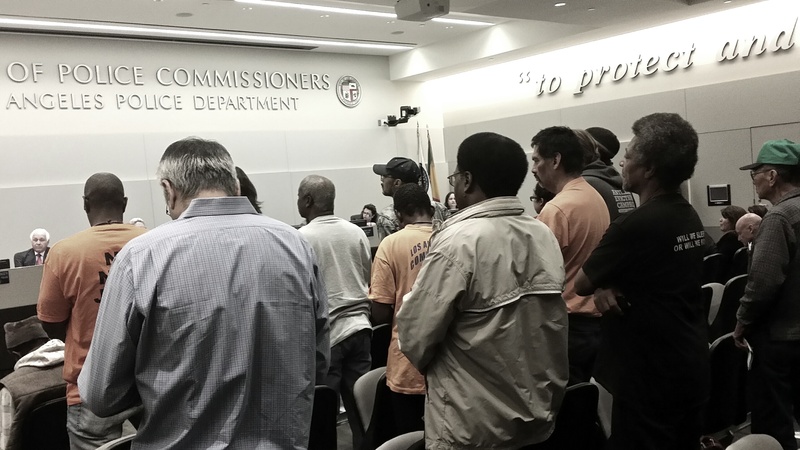 At the Board of Commissioners, LA CAN members were on hand to let the newly appointed Commissioners know that while the Board has changed, the devastating impact of LAPD’s Safer Cities Initiative has not. We demanded a new commitment to dialogue as well as a Town Hall specifically on the Safter Cities Initiative, which has continued to make Skid Row the most heavily policed and criminalized community in the country. Just down the street, LA CAN members joined the No New Jails Coalition to demand that the LA County Board of Supervisors reverse its decision to create a $10 million contract with the City of Taft and instead put more resources into rehabilitation (NOT more incarceration). See the video above for more information. Stay tuned for more information on how you can get involved in the fight. Until then, ALL POWER TO THE PEOPLE! For more information or to RSVP please call 213.228.0024. LA CAN and the LA Human Right to Housing Collective at the Joint City Planning Commission/Affordable Housing Commission Meeting in Van Nuys. Van Nuys for the Joint City Planning Commission/Affordable Housing Commission Meeting on the LA Housing Element? 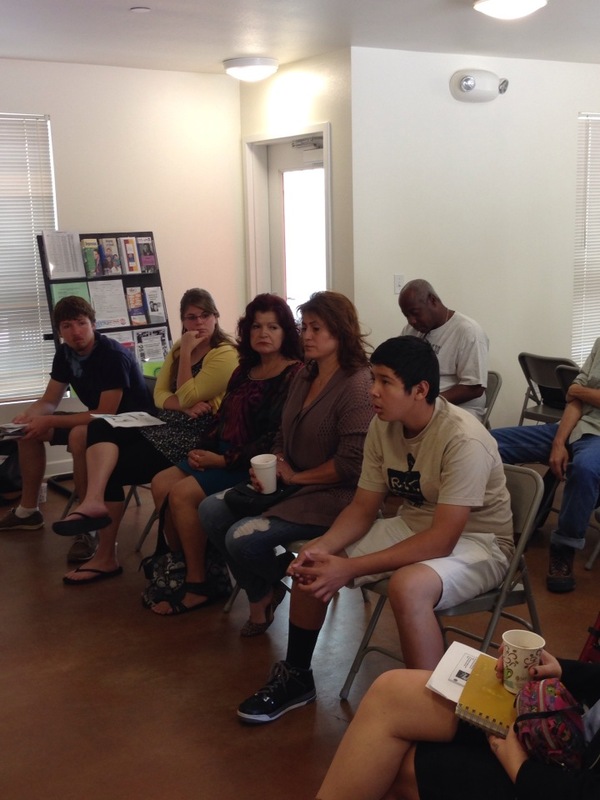 Highland Park for a Community Pop-Up Market Training? The people power of LA CAN was felt across the City of LA this morning as community leaders raised their voices on behalf of low-income Skid Row and South LA residents in meetings in Downtown LA, Mid-Wilshire, Van Nuys, AND Highland Park. Whether it be fighting for the housing rights of public housing residents, increasing access to fresh and nutritious food for low-income communities of color, or stopping all jail expansion plans – if there’s a decision-making table gathering, you better believe we’ll be there fighting alongside our fellow sister and brother freedom fighters! Members of the LA CAN Civil Rights Committee at the Ronald Reagan State Building, (at the Little Hoover Commission hearing) in Downtown LA voicing the need for more housing and services versus further costly prison expansion. Siding with previous findings of the Little Hoover Commission LA CAN knows, personally, that scores of CA inmates would be better served in outpatient settings. Ok prisoners to be sent to another city. More people are flocking to downtown Los Angeles — and they have more money to spend, downtown advocates declared as they unveiled the results of a new study Thursday. “We have more people. They’re making more money. They are more educated. And they are demanding more,” said Carol Schatz, president and chief executive of the Downtown Center Business Improvement District. It found that median household incomes of downtown residents had risen by 10% since its last survey two years ago, and that downtowners were also increasingly educated. The Downtown Center Business Investment District, funded by special taxes in the downtown area, hopes the results spur more investment in the urban core. People who live, work or visit downtown said they were especially interested in a Trader Joe’s or new department stores such as Nordstrom, the survey found. A Whole Foods is already on the way. But the changes reshaping the city center have also raised worries about whether poorer residents will be served by a gentrified downtown. The survey was released to reporters in a bright 9th Street loft owned by architect Simon Ha and his wife, Nikki Olson-Ha. When they moved downtown six years ago, friends and family asked whether it was safe and where they would get groceries, Ha said. Now, people who hear they live downtown ask about new restaurants and how the neighborhood has changed, he said. The early-morning ablutions have become a daily ritual for homeless men at the 1-year-old park across the street from Los Angeles City Hall. But their presence has done little to dim the appeal of the $56-million, county-owned venue, as office workers, loft-dwelling professionals, curious suburbanites and, yes, the homeless flock to evening concerts, public ceremonies, fireworks shows and farmers’ markets. The situation isn’t so harmonious in other downtown parks, however, as officials’ efforts to make the facilities more welcoming to the new urbanites have spurred claims of harassment by skid row advocates. These efforts have also led to homeless nudged out of one park simply relocating to others blocks away — a reminder that even as much of downtown crackles with new, upscale condos, bars, restaurants and stores, the central city’s revival still depends on maintaining an uneasy truce with one of the nation’s largest concentrations of people living in the streets. In the last year, the city and county have opened or planned several new public spaces, including Grand Park, Spring Street Park, an Arts District park and a parcel next to Grand Park to be developed and managed by the city. They join parks that have welcomed visitors for many decades, including Pershing Square, the grassy grounds of City Hall and the historic sites near Olvera Street that mark the city’s founding. Park managers at Spring Street and Grand Park included extensive regulations and design elements to discourage homeless people from camping out. Grand Park’s open spaces, stretching 12 acres from Bunker Hill to the foot of City Hall, in the shadow of the criminal court building, offer few hiding places for prostitutes or drug users. It’s also farther away from skid row than some other parks, keeping the homeless count comparatively low. But five blocks south, a resident describes Pershing Square, the city’s original central park, as a “day-care center” for homeless people. The city is trying to change the park’s character with a whirlwind of movies, concert series and farmers’ markets. Skid row activists call it harassment. A Los Angeles Community Action Network activist known as General Dogon leads a weekly patrol at Pershing Square and other downtown parks to monitor what he says is widespread intimidation of the poor and homeless. Dogon pointed out concrete seating in the shade that had been cordoned off with yellow police tape. A chain blocked access to the lawn. Restrooms in the underground garage are off-limits to anyone without a parking ticket, and cafe tables with umbrellas where homeless people once rested are hauled out only for the noon concerts and other activities. Police patrol cars park, sometimes two abreast, on the concrete plaza around the fountain, and officers stop people for loitering, Dogon said. “How do you loiter in a park?” Dogon said. Park officials said the seating is tied off for cleaning or so farmers can store their crates during market days. The grass is off-limits to protect the sound system or to prepare for concerts. Police and city officials deny any bullying campaign, saying their enforcement efforts are directed at illegal activities. “We welcome anybody from anywhere into any of our parks,” said Rick Coca, spokesman for Councilman Jose Huizar. “The key is keeping the area in a way that can be used by all,” said Los Angeles police Capt. Horace Frank, who heads the downtown detail. Police stepped up their presence at Pershing Square last year in response to complaints afterOccupy Los Angeles was forcibly ejected from the City Hall lawn, Frank said. Remnants of the group disrupted the farmers’ market, urinating on walls, grabbing food samples and demanding spare change, the market manager said. As Occupiers drifted away from Pershing Square, a rowdy encampment arose outside El Pueblo de Los Angeles Historical Monument, home to Olvera Street and the site of the city’s founding. People partied to all hours and tossed needles over the wall into La Plaza de Cultura y Artes — a museum focused on the contributions of Mexican Americans in Southern California — said Father Richard Estrada, the parish priest at nearby La Placita church. “It was like a tent city all day long,” he said. A city-county task force was formed to clean up the encampment, and some of the tarp-covered shopping carts and tents can now be seen at Father Serra Park, across the street from Union Station. Climbing out of a tour bus with his family, Berlin tourist Nico Gruenberger looked askance at the huddle in Serra Park, with their plush blankets and carts bristling with plastic bags. The newest downtown green space, Spring Street Park, opened in June between 4th and 5th streets. The sign at the entrance lists 12 rules, including a ban on shopping carts. Its metal perforated benches discourage lying down, and there are no little enclosed “alcoves,” said downtown neighborhood council President Patti Berman. So far, the only open conflict has been over loose dogs, she said. But at less than two-thirds of an acre, including a playground, the small park needs to be watched closely to make sure everyone is comfortable and safe, Berman said. She heads a nonprofit that is raising private money to pay for a full-time city ranger to patrol the park. Not long after Spring Street Park opened, a security guard at the loft building next door called police to investigate two men suspected of cooking heroin purchased on skid row. Zach Calig, a television writer, came down from his condo to find his cousin, whom he hadn’t seen for years, slumped on the ground in handcuffs. Calig said he is in recovery from substance abuse himself and understands how people end up addicted and homeless. But he doesn’t want them overrunning his neighborhood park. We say no to human rights violations in all forms. It is not enough to rise up and protest conditions that happen afar (though that is necessary as well) without first lifting a finger to the egregious violations happening a stones throw away. The demands for humanity coming from behind the walls of California’s state prisons need to be heard and acted upon by all. The demands are clear and need your support now! 1. Eliminate group punishments and administrative abuse. 3. Comply with the recommendations of the US Commission on Safety and Abuse in America’s Prisons and end long-term solitary confinement. 5. Create and expand constructive programming. 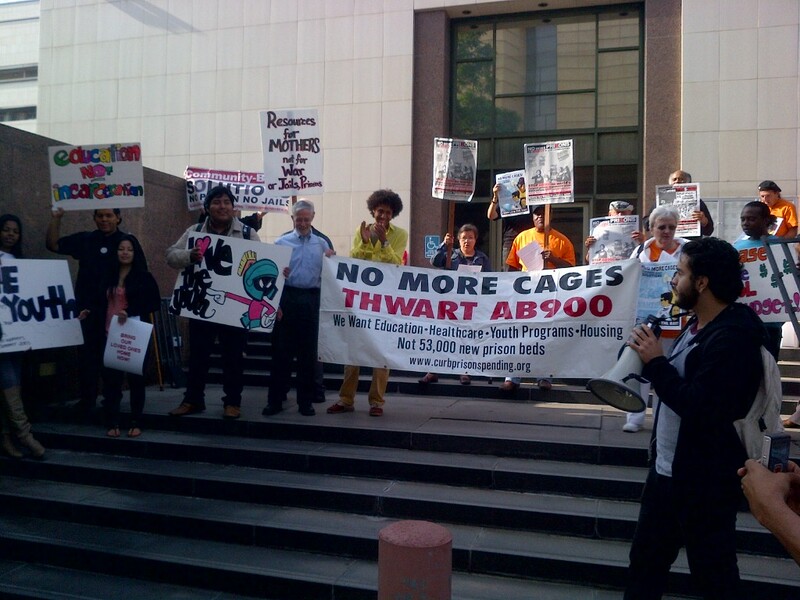 Los Angeles residents, organizations and activists say no to a planned jail expansion in Los Angeles County. 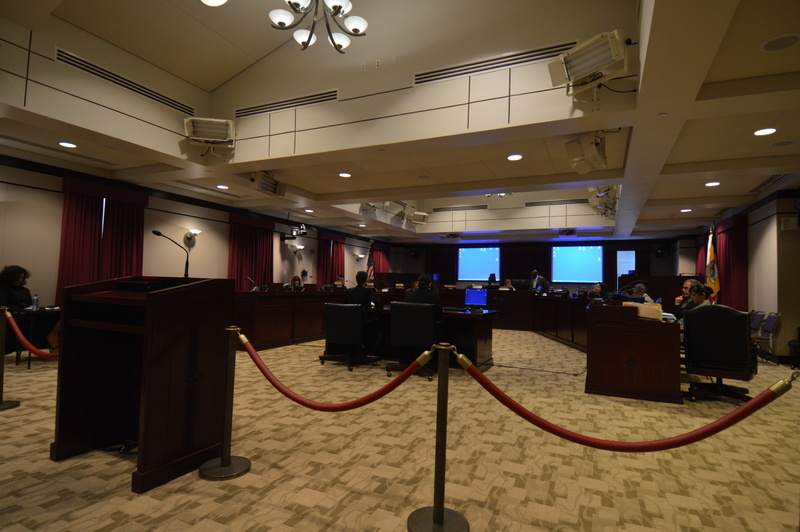 The Los Angeles Board of Supervisors is currently exploring five proposals offered by Vanir Construction Management Inc. that include building a “mental health facility” (jail) and a “women’s village” (also a jail) at a cost of $1.3 – $1.6 billion dollars. Nowhere in the Vanir proposal is any alternative(s) to building new jail facilities. The proposal is short-sighted and residents are gearing up for a fight to have those dollars placed in community-based crime prevention solutions like housing, services and economic opportunities. Get involved today and please comment on the video. Even the LA Times Editorial section has questions. We hope July 11 ends the years of targeted efforts by the LAPD and LA’s City Attorney to criminalize organizing, dissent and public protest by LA CAN and dozens of other organizations across Los Angeles. We know the tactic of criminalizing political movements goes well into our history and well beyond Los Angeles – but yesterday marked a key victory in preventing these attacks on those working for justice. Yesterday afternoon, a jury found Deborah Burton not guilty on 8 charges of assault and battery, including the “lesser charges” the City Attorney was able to include in the jury instructions. These unjust charges stemmed from a legal protest of the Central City East Association’s public safety walk in June 2011. Charges were filed in August 2012 and Deborah has shouldered this burden on behalf of LA CAN and the social justice movement in Los Angeles since then. She stood strong and firm, and truth and justice prevailed! LA CAN is proud to have Deborah as a long time member and organizer – she continues to demonstrate on a daily basis what commitment, dedication, compassion and bravery look like as she works to defend and promote human rights in Downtown and South LA. We thank all of our members, staff, Board, community partners, and others who supported us leading up to and during this case. 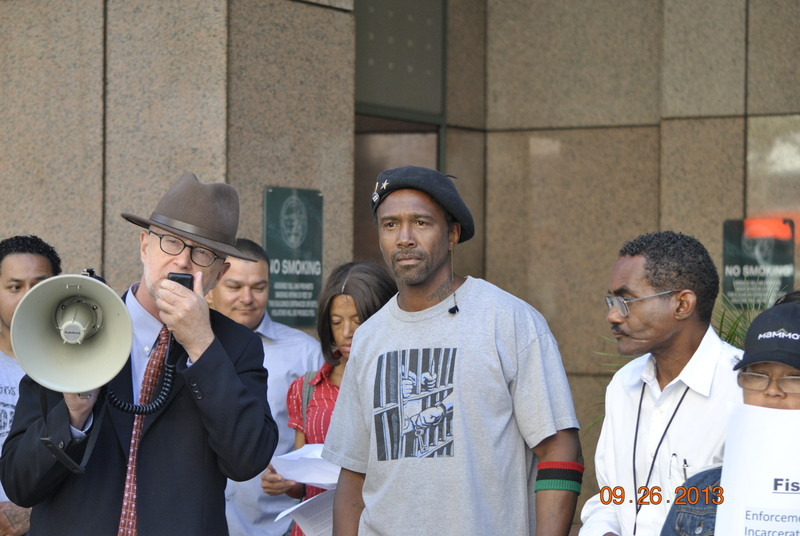 We express deepest gratitude to John Raphling, who defended Deborah and continues to provide much needed legal representation to community organizers and activists in Los Angeles. We are all Deborah Burton! And we are all NOT GUILTY! See community partner’s perspective at NESRI’s blog HERE. Visit past blog posts for more information on this case – such as HEREand HERE. 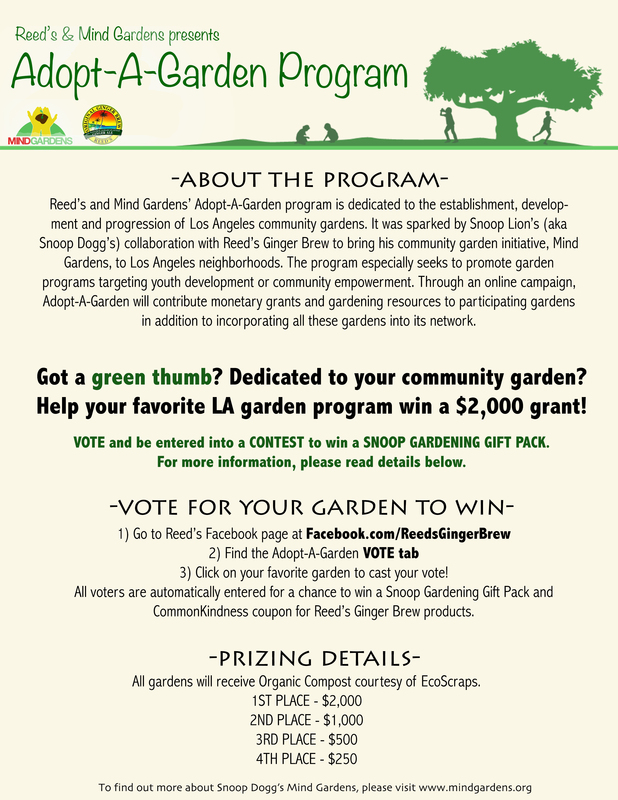 Vote for LA CAN to WIN Ree’s & Mind Gardens Adopt-A-Garden Program – which was sparked by Snoop Lion (aka Snoop Dogg). The group marched into a Los Angeles Commission board meeting at 9 a.m. at the LAPD Headquarters at 110 W. 1st St. The organizers were demanding the LAPD Commission investigate the case against 62-year-old Deborah Burton, who has been charged with three counts of assault for alleged actions during a protest. “It’s a cloud hanging over my head, because I didn’t do anything wrong,” Burton said. Burton was charged in August 2012 for her actions at a legal protest in June 2011. The protestors are asking the LAPD to investigate the case, rescind what they call “faulty evidence” and drop all charges against Burton. LAPD Commander Andrew Smith says the organizers have a right to let themselves be heard, but the department has no comment regarding the issue. Burton’s trial is set to begin on June 26. The community-based organizations involved include: Dream Team LA, IDEPSCA, Immigrant Youth Coalition, Labor/Community Strategy Center, Los Angeles Anti-Eviction Campaign, Los Angeles Community Action Network, Los Angeles Human Right to Housing Collective, POWER, Stop LAPD Spying Coalition, Union de Vecinos and Youth Justice Coalition. Downtown Los Angeles gentrification continues to reach all-time lows as LAPD carries on with its mission to rid downtown of poor and homeless, and mostly Black, faces. 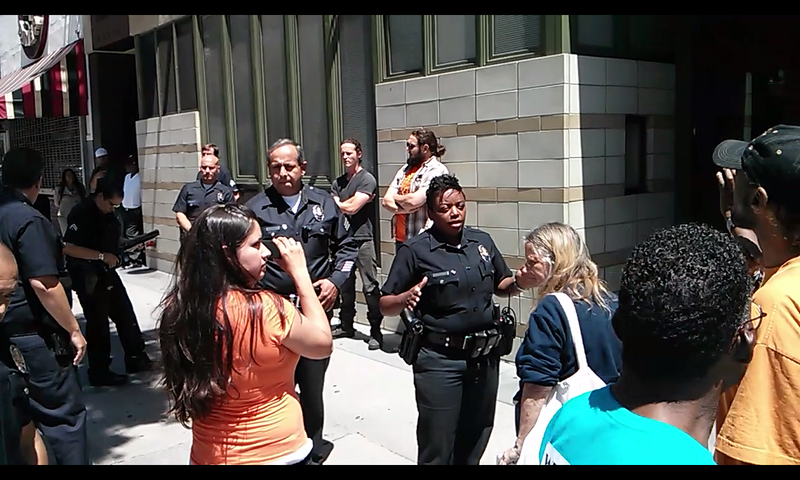 In the May 20th episode, LAPD took action to stop…wait for it…a seedling give-a-way in front of the LA CAN office. 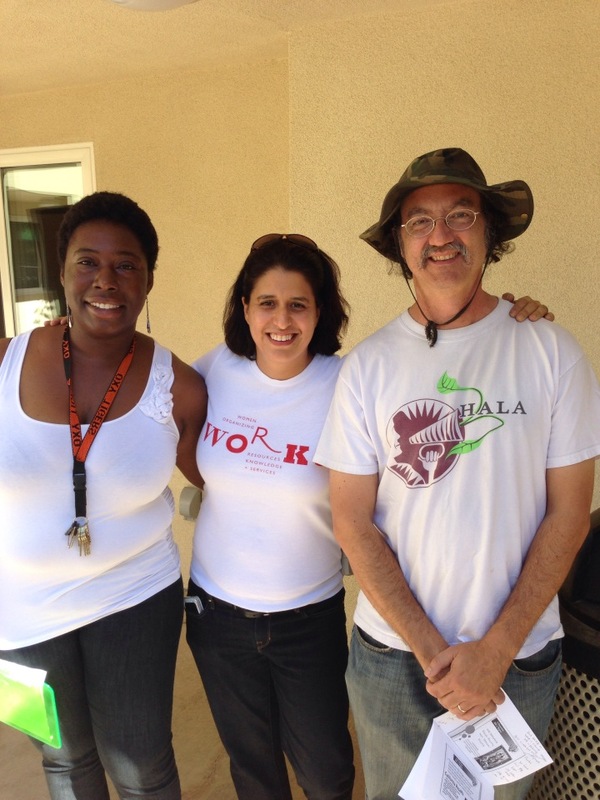 The bustling operation, coordinated by LA CAN’s community gardeners in front of our office, was being visited by a vast array of downtown stakeholders. 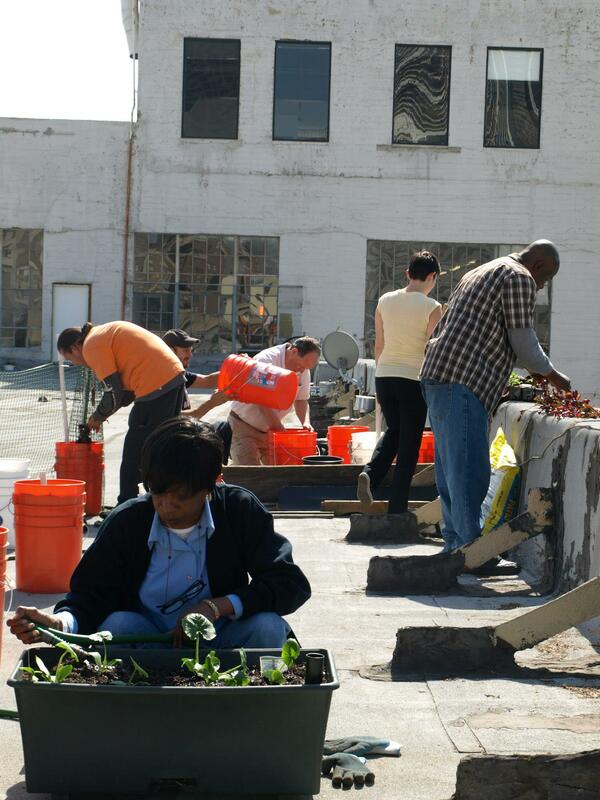 In fact, our garden project almost always demonstrates the real potential of bringing together disparate communities and realizing the purported vision of a “mixed-income” downtown – there is widespread support for community gardens and giving residents access to seedlings to start their own gardens of any size. LAPD Officer Owens apparently isn’t a fan of gardening, but is fine with perpetrating the Jim Crow policing used under Downtown’s Safer Cities Initiative. The tool of choice for years to move poor and homeless people off Main Street has the been the enforcement of municipal code 41.18D – no sleeping or sitting on the sidewalk. And that’s what Officer Owens was doing yesterday – issuing a ticket to an elderly gentleman sitting in a portable stool and two LA CAN members sitting in chairs handing out seedlings. Never mind that all parties cited were actually on private property – within 3 feet from a private building. Never mind that a legal settlement agreement requires LAPD to give people warnings and the opportunity to comply BEFORE citing or arresting anyone for 41.18D. Fully aware of their rights, and the actual 41.18 D rules, the LA CAN members stated they could not be cited for 41.18D and requested to speak to a supervisor. Instead, within minutes, nearly a dozen police responded to the plant give-away “crime scene.” Thelmy Perez was monitoring this incredibly over-use of LAPD with her cell phone camera when she was seized by three officers and arrested. Thelmy was released later in the day and now faces a charge of interfering with police investigation. Sean and Esteban also received misdemeanor citations for their community gardening activities, and Jody, our elderly neighbor, faces misdemeanor charges for just sitting down for a brief rest. 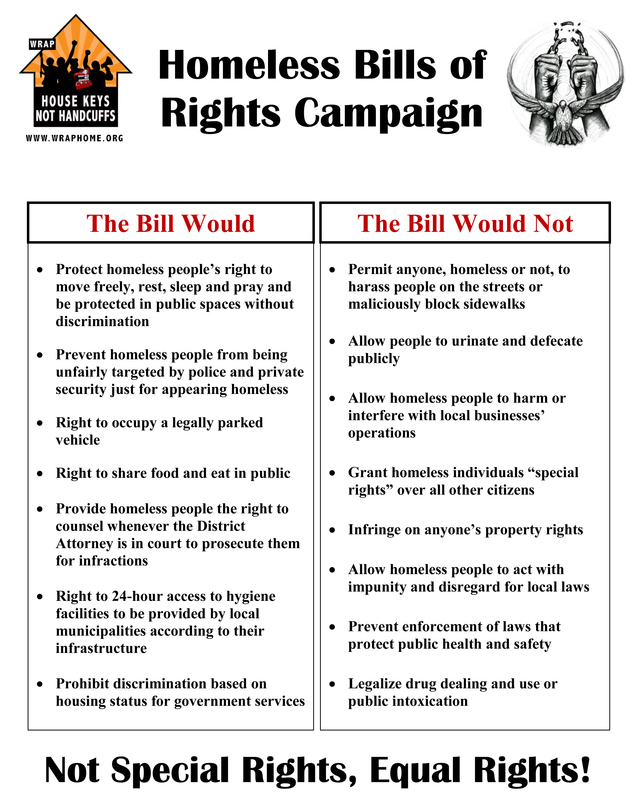 We of course won’t accept Jim Crow in Skid Row – we will continue to fight for equal rights and equal enforcement through local fights and statewide fights like YES on AB 5, the Homeless Bill of Rights. We will also fight these four cases together and ensure this most recent round of criminalization of perfectly legal community activities and organizing does not stick! 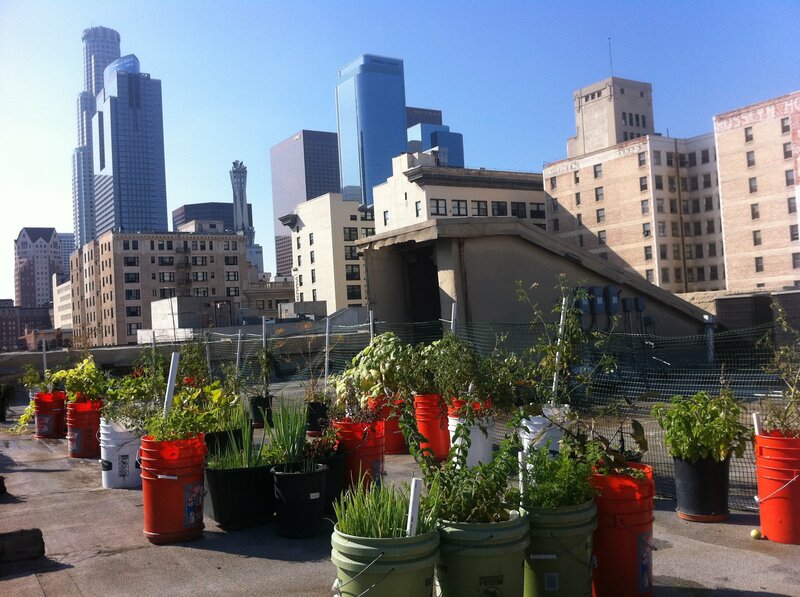 LA CAN will continue our community gardening and seedling give-away programs in public space as well. Yesterday is unfortunately just one example of the blatant selective enforcement and civil rights violations that define the Safer Cities Initiative, and the continued criminalization of organizers who stand up against these violations. 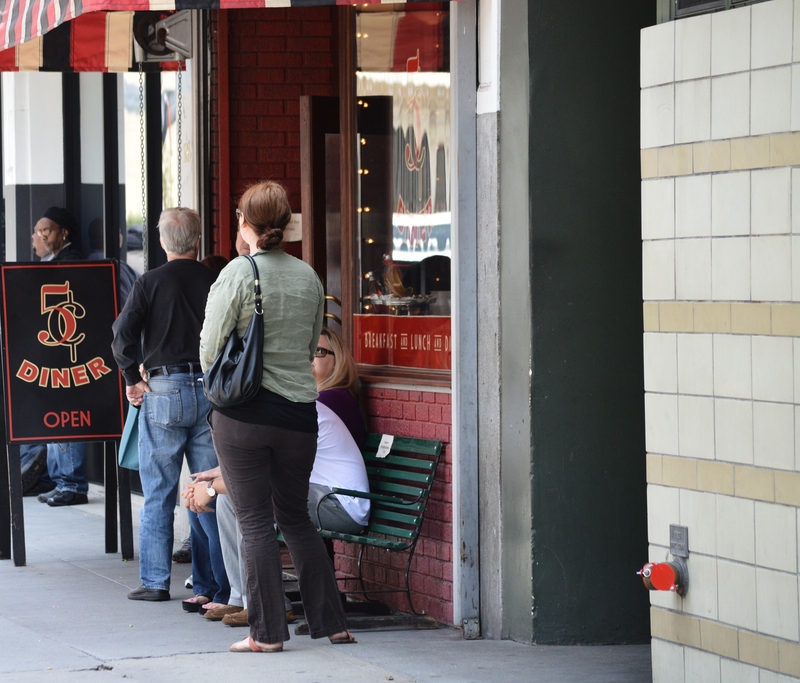 If you aren’t familiar with Main Street – wealthier residents and visitors sit and stand on the street regularly. 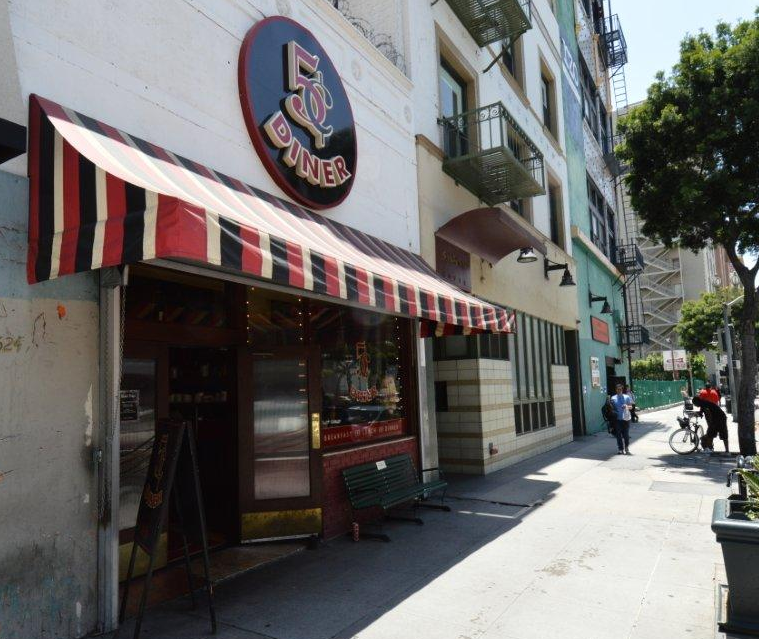 Below you will see the bench in front of the Nickel Diner and the tables and chairs for the new “Creamery” – where their upscale customers sit without any police harassment, within a block of LA CAN. 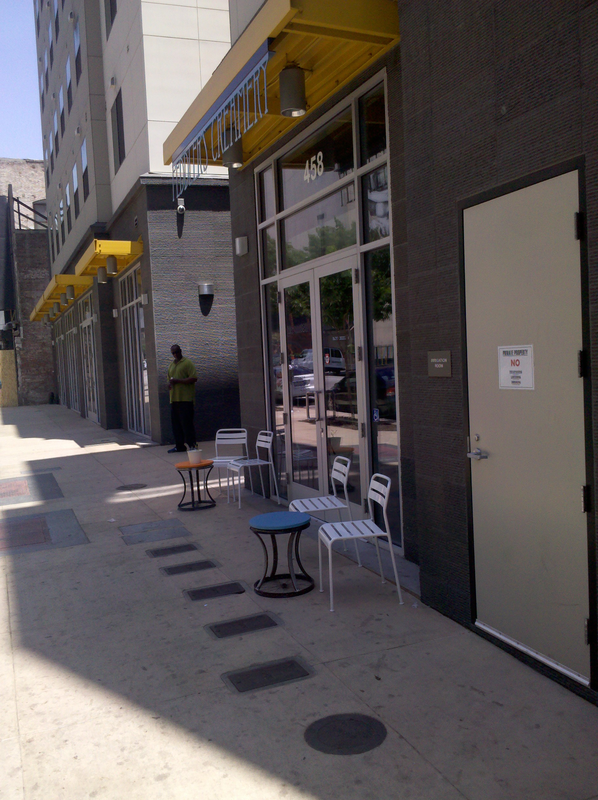 Apparently the Nickel Diner can put a bench in front of their establishment (complete with a sign that says “customers only”), but LA CAN members can’t be found in chairs in front of our office. Again – we won’t accept this and will fight for equity on Main Street and throughout all of LA and beyond. However, even if LAPD were responding to a crime, was everyone on the corner a suspect? If not, then why shoot multiple rounds in the middle of one of the busiest corners in Skid Row? How many innocent people were put in danger? Were any of them wounded? This is not the first time this happened. Police officers shooting into crowds of civilians does not make the community safer. It is extremely dangerous and completely unacceptable. Community residents will not stand by idly and allow this to happen. We demand answers and accountability! 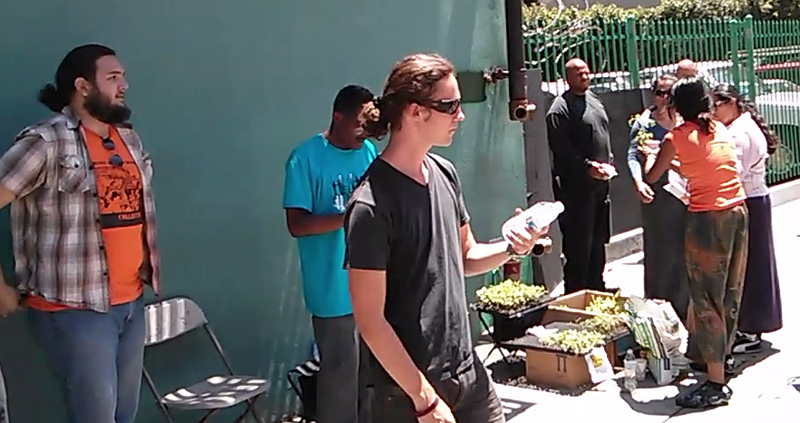 Yesterday the LA CAN Community Watch Team came upon the Central City East Association (CCEA) Security Guards attempting to use bolt cutters to illegally confiscate the property of a Skid Row resident. The team intervened to prevent them from stealing the private property, which was clearly not abandoned. However, when the team returned an hour later, the property was gone and the lock was cut. A September 2012 decision of the 9th Circuit Court of Appeals upheld an injunction that bars the City of Los Angeles and LAPD from seizing the property of Skid Row residents. However, private Business Improvement District officers continue to illegally steal property from residents. They regularly claim that this property is abandoned, but LA CAN has documented time and time again that this is not the case. More often than not the property belongs to residents who step away for a few minutes to use the restroom, get a meal, or engage in other life sustaining activities. 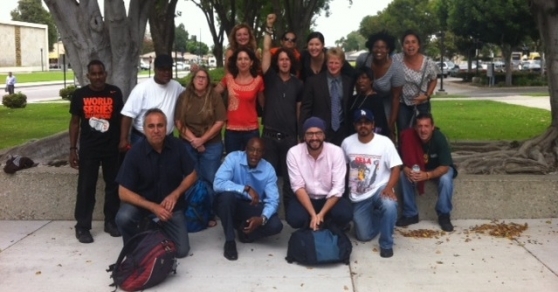 Deborah Burton, longtime LA CAN member and organizer, has been unjustly charged with three counts of assault for alleged actions during a legal protest in April 2011. She was not charged until August 2012, 16 months later, and public records show that in the interim months LAPD and the Central City East Association actively lobbied the City Attorney to criminally charge LA CAN members involved in a monthly protest of the CCEA’s “Skid Row Walk.” Deborah is just the latest target of the City Attorney’s ongoing campaign to squash protest and political dissent in Los Angeles, including other LA CAN members. Since 2006, LA CAN has led the charge against LAPD’s Safer Cities Initiative (SCI), which has brought up to 150 additional cops into the Skid Row community and resulted in mass criminalization of homeless and poor, mostly African American, residents. 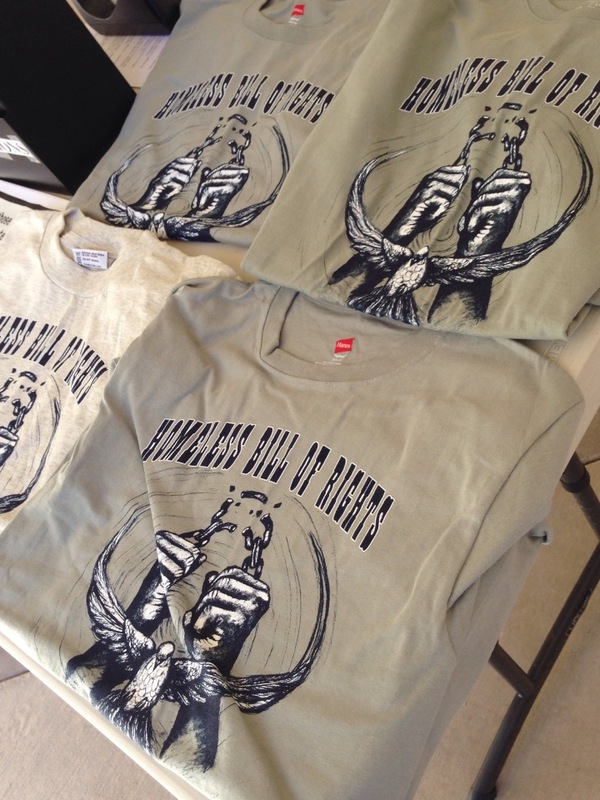 In 2011, LA CAN and partners began protesting the CCEA’s “Skid Row Walk” because it was a tool to promote SCI, perpetuated myths about homeless people, and lacked the voice and participation of community residents. Immediately after we began our protests, the CCEA, LAPD, and the City Attorney’s office began coordinating and strategizing on ways to stop LA CAN’s opposition to the walk. The quotes below, from emails obtained through Public Records Request, begin to shine light on just how CCEA was trying to use LAPD and the City Attorney to criminalize first amendment rights. Stay tuned for more information about the documents obtained. The targeting of LA CAN members exercising first amendment rights by LAPD, at the demand of business leaders, is clearly unjust. The City Attorney should not prosecute this unsubstantiated case and should not continue his past history of criminalizing protest and first amendment rights. LA CAN members and supporters will be calling on the City Attorney over the coming weeks to drop these charges and not pursue this trial. Please join us! You can call the City Attorney’s office directly (213-978-8100) and/or stay tuned for other ways to get involved by spreading the word through social media and other public actions. This dangerous trend continued late last night when a large group of officers began roughing up a couple of black female residents. LA CAN members were on hand to video and document the altercation. And when the officers decided they did not like that, they had two of our members arrested. This type biased and violent policing has only increased since the Safer Cities Initiative was implemented in 2006. And long-term, low-income residents who have stood up and resisted have been met with repression and constant harassment. But we remain undeterred. We will not sit back and allow LAPD to intimidate and attack our community. To learn more about Deborah’s case, click HERE. Stay tuned for more information! LA CAN has witnessed Officer Wright and other officers named in this suit during the course of their duties for years. There are relatively few Black officers in Central, a division that sits squarely in the middle of one of LA’s last African American/Black strongholds. What is clear from the details and outcome of this case is that Central Division is as racist and brutal toward African Americans internally as they are externally. Based in Downtown LA’s Skid Row community, Central Division sits as if it’s a gun tower on a prison yard. Skid Row is definitely treated as a carceral community, day in and day out, and bearing witness to human and civil rights violations is a daily occurrence. The issues of race and racism are not new in the community and regardless of what the “new and improved” LAPD might tell you. Black folks are catching hell in Central Division, inside and outside of the station. LA CAN has been on the front-lines fighting against the banishment of poor, mostly Black people in Downtown Los Angeles for more than a decade. Our nationally recognized Community Watch program educates residents on their civil rights, documents police activities in our neighborhood, and intervenes in cases of rights violations by the LAPD and Business Improvement District security guards. Videos taken over the years shows racist and insensitive behavior that is hauntingly, though probably not surprisingly, similar to the issues faced by Officer Wright. Officer Wright was harassed with photos depicting him as a character in the 70s TV show Sanford and Son. In the news clips below Central Division Officers are caught illegally taking property from skid row residents and dumping it under the 6th Street bridge. Once there, Central Division officers sing the Sanford and Son theme song to summon homeless residents to unload their vehicles and take whatever they want. Clearly the behavior alleged by Wright is not new and from LAPD’s response to this video — not frowned upon. When we released the footage LAPD’s response was nonchalant and questioned if it was indeed racially charged. Racism inside…racism out side – that pretty much sums it up. LA CAN will continue to fight against LAPD’s oppression and racism in Skid Row, South LA, and across the City. LAPD now has $1.2 MORE reasons why they should finally get serious about confronting, preventing and erasing racism. Charlie Beck’s “new and improved” mantra, with the support of people like Connie Rice, simply means a better public relations department – not real change. The word of a Skid Row TB “outbreak” traveled quickly. Local, National and International media outlets picked up the story and ran with it–most forgot to check the facts. Concerned family members and supporters called and emailed LA CAN members to make sure they were okay and taking all of the necessary precautions. The story created an environment of fear and panic and those elected and paid to assuage those fears were nowhere to be found. Hundreds of residents and organizations from ACROSS L.A. gathered at City Hall this morning to STOP the Community Care Facilities Ordinance (CCFO), which would unfairly restrict and eliminate shared housing options in LA, increasing homelessness and segregation in our communities.